Four women, a long-lost treasure, and more than one thief of hearts share a destiny beyond time. To foil a map thief, librarian Emma Boyd searches for a pirate's long-lost treasure map. She's aided in her search by investigator Randi Marx, who proves to be as frustrating as she is beautiful. The treasure map Emma and Randi seek belonged to Thomasina Farris, a pirate who disappeared from the Caribbean in 1715. Did Captain Tommy steal an entire treasure from a Spanish galleon and escape? Was she convicted of piracy and hanged by her neck? Did she die of a broken heart when she lost the woman she loved? In her race to find the map, Emma learns that pirates not only steal treasure, but they also steal hearts. When Emma discovers Captain Tommy's fate, she must decide her own as well, choosing between romance...or revenge. It's tempting to describe the action in The Crown of Valencia, but then we'd reveal spoilers from The Spanish Pearl. Just know that once again, Kate Vincent finds herself in a mess, both romantically and time travel-wise. Romance, betrayal, intrigue, disobedient children, and religious fanaticism pack this tense conclusion to the epic adventure begun in The Spanish Pearl. When Kate Vincent and her partner travel to Spain, Kate is accidentally transported back in time...way back in time...to 1085. What does a woman like Kate do in a world of no antibiotics, no feminism, no Diet Coke? She denies it as long as possible, then sets her mind to getting home. Tricky with her now useless twenty-first century skills. Things don't go well. Kate is captured by a band of mercenary soldiers and becomes an unwitting pawn in the violent conflict between the Catholic kings and the Islamic Moors. In her struggle to stay alive and return to the future, Kate must flee exotic harems, filthy dungeons, and treacherous Moorish courts. But when a sword-brandishing woman with an astonishing secret sweeps into Kate's life, Kate is suddenly torn between two women, and between two centuries. The Spanish Pearl is an epic adventure spiced with humor, lust, and danger—a story with surprising twists that will capture your imagination just as Kate's dilemma captures your heart. I would recommend this book for sure. I really enjoyed reading this book. The writing was mostly error free and the story was well put together. A plot to keep you interested with characters that you connect with. It was unique and entertaining to say the least. I would recommend this book for sure. 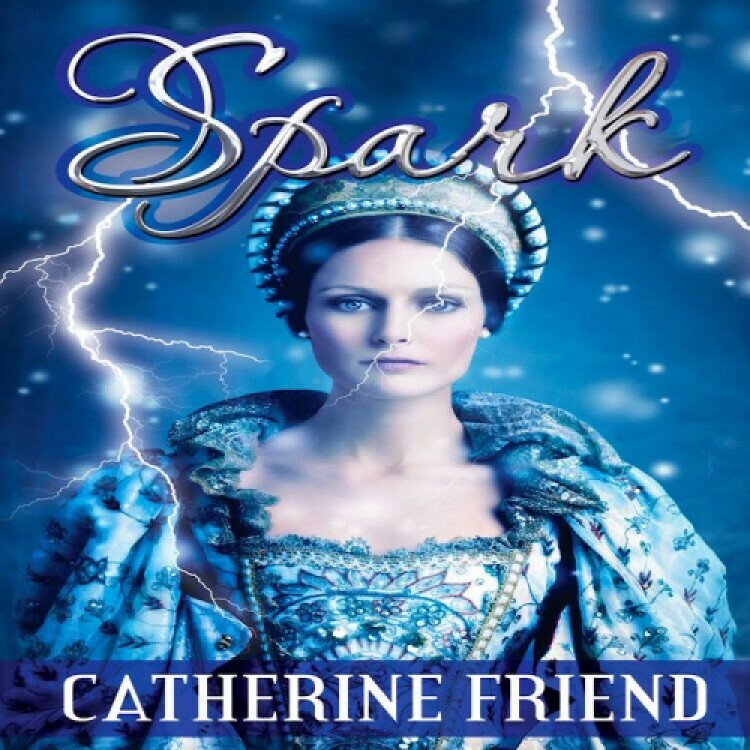 Elizabethan fantasy...engaging and educational. Wonderful combination of brain science, friendship, love, perseverance, thunderstorms, caring, and romance. The read had me thinking Avatar, Game of Thrones, and heavy clothing. So very different from a typical romance. In my opinion, that is a good thing! Fire trucking good! Get this if you love history, a bit of speculative fiction and great adventure. Artist Jamie Maddox finds herself coerced by her long time girlfriend into volunteering for an unusual experiment in looking for and documenting the physical presence of "consciousness" inside her brain. An unfortunate confluence of factors sends her into the past, specifically, the year 1560 A.D. And not just anywhere, but into the court of the newly crowned Queen Elizabeth. Jamie realizes soon enough that she isn't bodily in the past, but only her consciousness has transferred. Upon awakening from the experiment, her initial reaction had been--Is she in some kind of elaborate movie production? With movie sets so realistic that they reek of sweat, unwashed bodies and putrid rivers? It seems much more logically just a recreation of her subconscious, Tudor-fascinated mind and she is simply in a coma. But is her knowledge of the Tudors that good and detailed that she can invent historical characters' faces, foods, smells, arcane words and even entire incidents, wholesale? More disconcerting, the body isn't hers. She can't even eat without spilling food on her half-exposed breasts. Even worse, the person who owns it may not be a simple lady-in-waiting, but an ambitious, devious, scheming woman who may be involved in some nefarious plot that will mess up history as we know it. Can Jamie get back to her time? Can she even get back to her own body? Does she even want to? Witnessing history in the making right beside England's most important ruler doesn't seem so bad. Ang the youthful Queen Elizabeth is such a fascinating woman. It's a race against time, the weather, and a woman who's enjoying the future just a bit too much to give it up. Bottom line, get this if you love history, a bit of speculative fiction and great adventure. And the bonus of a sweet love story to boot. It was hard to put the book down. The characters were portrait in a very realistic way and the author did a great job in changing the characters from 1560 to 2017 and how different people talked and acted. The writing style was marvelous and it was hard to put the book down.